We just returned from the seven most blissful days ever! 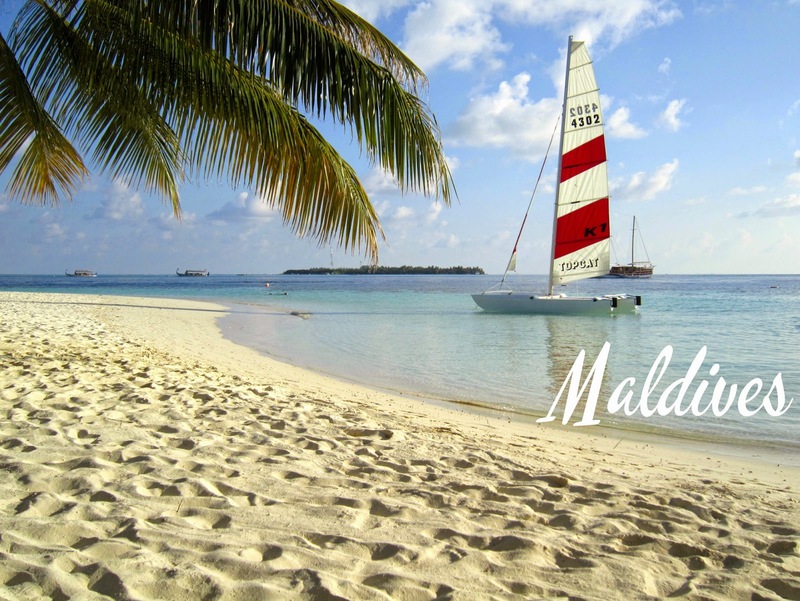 The Maldives has been on our list of must-see countries since before we even moved to India. I had honestly never even heard of it until just a few years ago. It is a small chain of islands in the Indian ocean, and only took a four hour plane ride to get there. Usually our vacations are very spontaneous, sometimes booking flights just a few weeks in advance, but this vacation has been booked for well over a year. 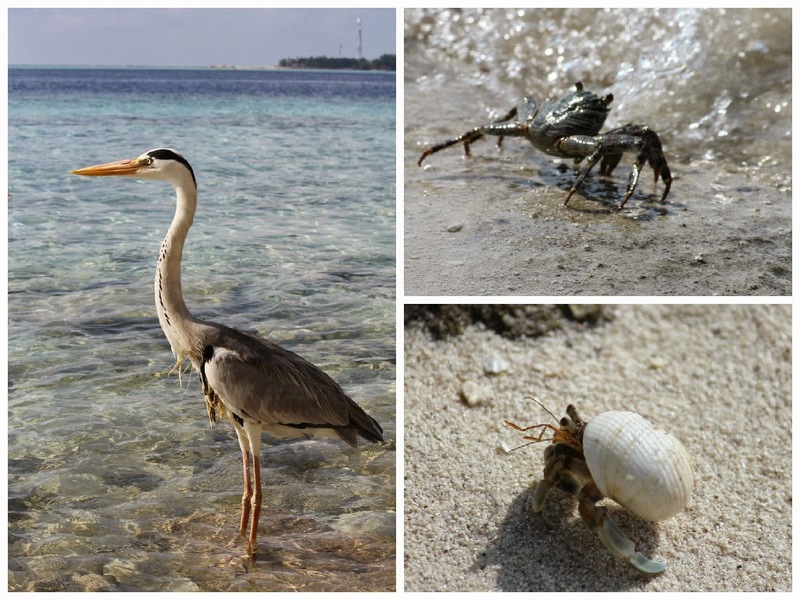 After I spent weeks of research trying to find a place that not only had excellent reviews but was also in our budget, I decided on Vilamendhoo Island Resort. Due to their monsoon and Matt's schedule, we knew March was the ideal month for us to visit. However, last March was already full by the time we decided where to go, and my stubbornness meant I didn't' want to settle for a different resort since in my mind I already deemed this one "the best," so we booked a year out and it was totally worth the wait. 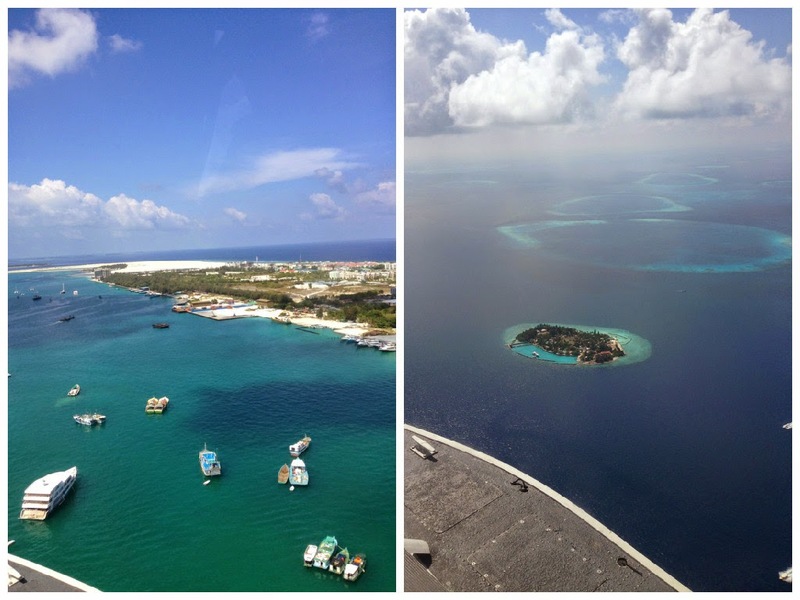 After arriving in Male, we took a 25 minute seaplane to our resort. I thought it was a little sketchy that the pilot was wearing shorts and sandals and his co-pilot was barefoot. We landed just 100 yards from the island at a small pier. A boat came to drop off people checking out and heading back to the airport, while we got our ride to check-in. Our awesome over-water bungalow. It looks like there's a lot of bungalows, but it was actually really private and quiet. It was so nice to just walk from our room down into the ocean to snorkel. Our entire trip was spent being completely lazy and enjoying every minute of it. Matt went scuba diving most mornings, while I enjoyed coffee on our balcony and took a walk around the island. It only takes about 20 minutes to walk the entire island along the beach, but despite how small it is, we never felt crowded. The best part of the island is the house reef. 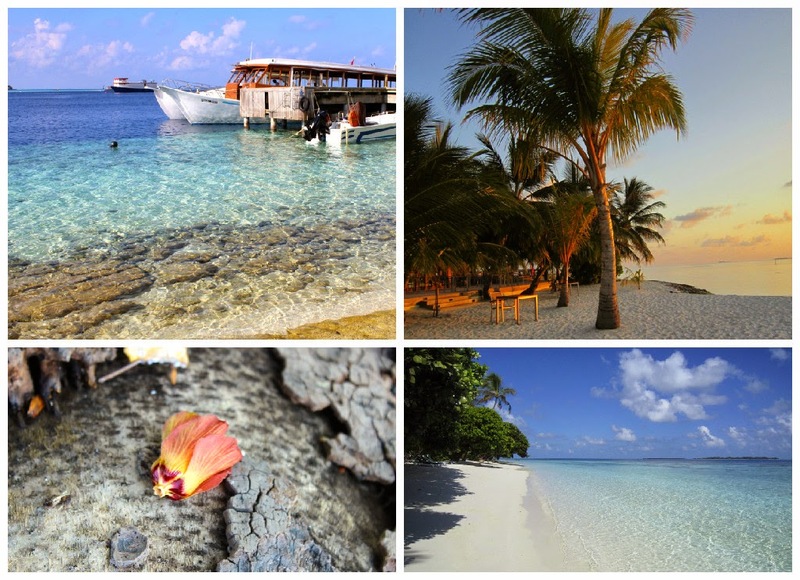 Circling the entire island just 20 feet from the beach is an amazing coral reef. 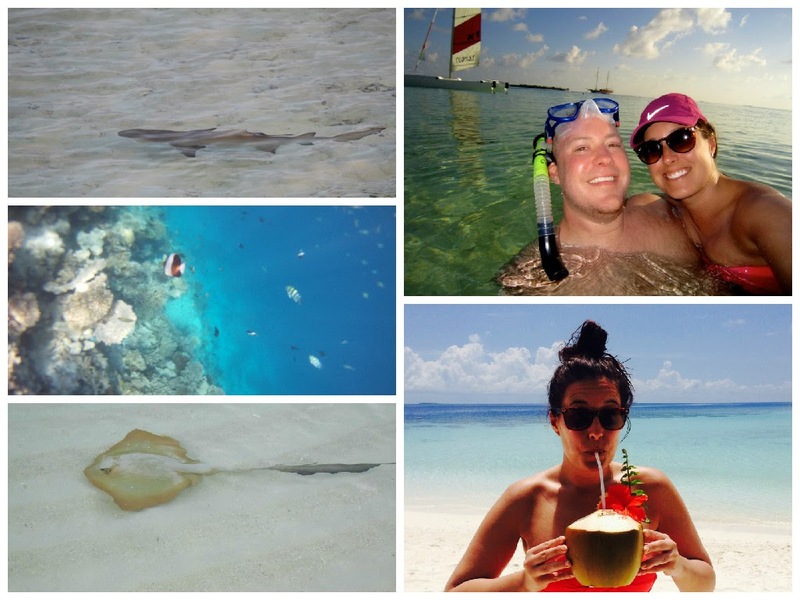 We saw incredible marine life every day, including dozens of reef sharks swimming right along the beach, sting rays, an octopus, eels, and a huge variety of beautiful fish. We quickly sped off just a few minutes to a new spot, and when I got into the water, I saw the most gigantic creature I've ever seen in the water. It made being kicked in the face with fins and being shoved numerous times well worth it. It was about 25 feet long. Here's another clip of a reef shark. These little guys swam along the beach all day. This was our first vacation that required absolutely no planning. We literally showed up, took off our sandals, and relaxed for an entire week. It was so worth the wait!